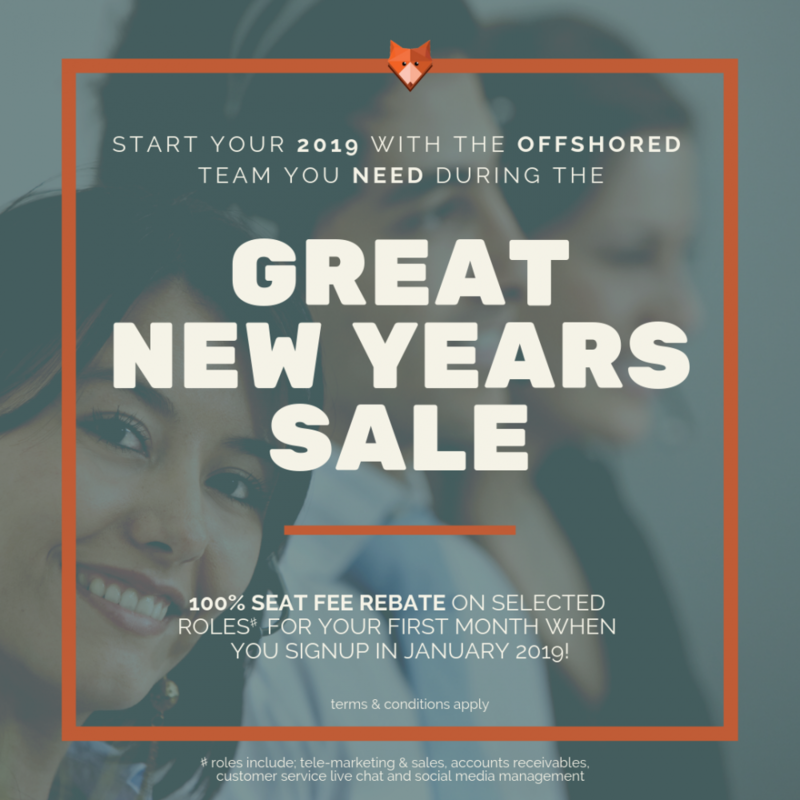 Start your 2019 with the offshored team you need during the great new years sale! 100% Seat Fee Rebate on selected roles for your first month when you signup in January 2019! This offer has expired unfortunately, but please do fill in your details anyway, we may be able to work something out!